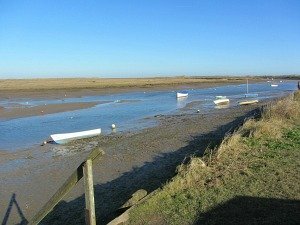 We have established ourselves as the company to come to when you want to walk the beautiful but not arduous Norfolk Trails such as the Norfolk Coast Path and/or Peddars Way, The Wherryman's Way, a group walking break and other short breaks. Here are a handful of some extracts from the many testimonials we receive. Just a quick note to say many thanks for your efforts which did so much to make our recent walk so enjoyable. 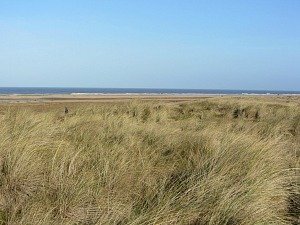 Your website is brilliant, booking was simple, all the accommodation was excellent and baggage transfer faultless.I would certainly have no hesitation in recommending you to anybody walking in Norfolk. 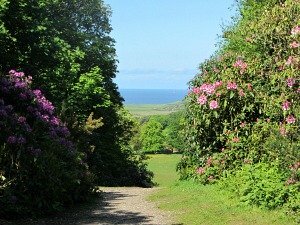 Just wanted to say thank you for a wonderful walking holiday along The Wherryman's Way. The accommodation was lovely, the transfer of our luggage smooth and your instructions faultless. We enjoyed the peace and varied landscape that the walk took us through and the distance each day suited us perfectly. We'd certainly be happy to do another walk in the future. 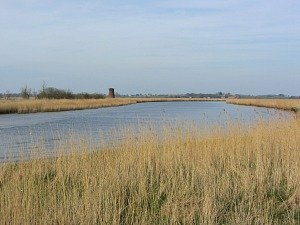 We had a wonderful 5-day walking holiday in Norfolk. We enjoyed every kilometer of the Norfolk Coast Path. Thank you for organising the itinerary, the places to stay, the luggage transfers, actually everything, so well. The Norfolk Coast Path offered so many different beautiful nature experiences and we loved the villages and town too. Even the weather was fantastic. 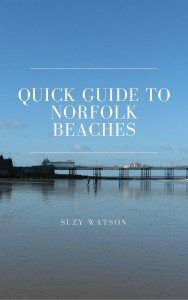 Thanks a lot Suzy, we will recommend the Norfolk Coast Path and your organisation to everyone! Just a quick note to say 'thank-you' for helping us to organise our walk along the Norfolk Coast. We are just back today, thought I’d drop a quick note to let you know that we had a great trip. Your info pack was spot on – the guide and the map are invaluable and your own notes helped too. We enjoyed both sets of accommodation. All in all, a thoroughly enjoyable trip - thank you for arranging it for us at such short notice. Having returned home from Norfolk yesterday I just wanted to thank you for your excellent organisation of the walk. Everything was absolutely faultless - the accommodation was very good, the bags were always there when we needed them and everyone was very friendly and helpful. We walked well and ate well!! Even the weather couldn't be faulted, six days of sun, but with a breeze - the storm on Sunday arrived 20 minutes after we checked into the B & B!! Thank you once again. We are already planning our next long distance footpath - the company we use have a lot to live up to! I shall certainly recommend you, wholeheartedly, to anyone I know wishing to attempt the walk in future. 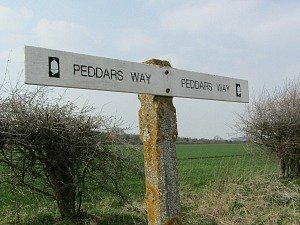 Suzy, thanks so much for organising the Peddars Way and Norfolk Coast Path walk. We all thoroughly enjoyed it - and loved it all. The arrangements worked incredibly well, efficient baggage transfer, & with excellent B&Bs and pubs. We had a great time, thank you - everything went to plan and thankfully we had some good sea breezes so it wasn't too hot for walking! The holiday was excellent in every way - couldn't fault it. The accommodation from beginning to end was perfect and the baggage run was brilliant, we weren't caught out in any way! Your instructions were very easy and the stretches of walks along both the Peddars Way and Norfolk Coast Path were very good. Suzy, thank you so much for organising this all for us, we would definitely recommend you. I just wanted to thank you for a glorious few days on the Coastal Path. Just wanted to tell you what a great time we had in Cromer. The pub was a good choice from you as it was very accessible and we only needed one of our cars on a particular day. Thank you again for all the assistance you gave me and the packs that you sent out. ……in those 8 miles we saw hundreds upon hundreds of the grey seals - completely breathtaking and everyone was saying they couldn’t believe how many had arrived for that day so we felt very blessed. LC and 12 yr old son, Herts (walked the Peddars Way and Norfolk Coast Path to Gt Yarmouth) - I have real admiration for this 12 yr old boy to walk this distance. Great people and places to stay, beautiful nature and excellent food. Thanks for very good organisation! We have just returned from our walk along the coast. We had lovely weather, almost too hot! We loved the individuality of all the B&B owners and they were all so kind and attentive, we were very impressed with them all. Your instructions were excellent and we definitely used them quite a lot! Thank you once again for your organisation, you arranged everything perfectly for us. Just to let you know I completed the walk last Thursday as planned. 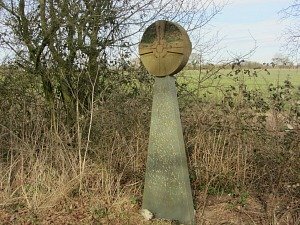 It was a great walk, one that I enjoyed and would recommend to anyone else who might be thinking about it. There were dramatic seas on the Wednesday and Thursday with the north easterly winds coinciding with a high tide stirring up some big waves that made Bacton and Walcott really quite interesting. I was a bit apprehensive about using the Coasthopper bus but it is actually a very good service and worked well for my itinerary. Your local knowledge proved very useful on more than one occasion and I’d like to thank you for making all the arrangements. All in all, a memorable holiday. Just to say thank you for all the trouble you took in making the arrangements for our holiday walking the Norfolk Coast Path. We were fortunate with the weather and really enjoyed the walking. We chose you because you specialize in the Norfolk area. 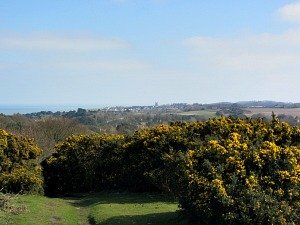 We had walked the West Highland Way last year in Scotland and while it was superior in scenery and varied terrain, the Norfolk coast offered more history and a lot flatter terrain. The bed and breakfast accommodations offered very enjoyable and personal service, and most of them greeted us with coffee/tea and often homemade cake! We would definitely recommend you. Thank you for a really well organised holiday. The accommodation was really excellent, as was the walking pack which was extremely clear and detailed. We had a very enjoyable walk, thank you Suzy. I chose Explore Norfolk UK because you are a small company and had local knowledge. The pack was excellent, as was all of the accommodation which was very close to the Norfolk Coast Path, and very comfy too! I had a great week and would definitely recommend you to others. Just wanted to say a huge thank you. I have just returned home from my Norfolk Walk, having had a brilliant time. The accommodation was splendid - all very high quality, welcoming and comfortable! The guidebook and map were great, as were your notes and it was so good just to focus on the walk and the sights and sounds of the coastal path, with no worries about the arrangements! Coming from Australia we sandwiched the Norfolk Coast Path walk between walking in Snowdonia and walking in Iceland and so we hoped for a trouble free visit. From our first contact with Suzy by email and all subsequent communications we felt confident of our walking plans, discussed fully with Suzy, the accommodation and efficient luggage transfer. We received full information about the area, various attractions, transport and suggestions about the places we wished to visit. We were able to give Suzy our requirements and wishes about the area and she tailored our walking week perfectly. I wanted to book with a company that was local to the area I was intended to walk in. You were very helpful, and it was clear that your local knowledge helped make the whole experience run smoothly. I would definitely recommend you. Many thanks once again for my memorable visit to Norfolk. You were very friendly and had an encouraging response to our phone query which is what attracted us to using you. All the accommodation was very good and the walking pack you provided us with, including the detailed itinerary, was excellent. It was a really lovely holiday and everything went splendidly - thank you very much. The walking pack was excellent and the itinerary notes were very clear. It was an excellent week for a mixed group of walkers. Easy to follow, easy underfoot and full of interest. 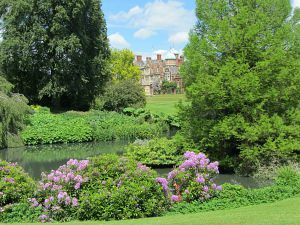 Explore Norfolk UK handled everything smoothly and helped to create a memorable holiday. I really appreciate your "personal" outreach. (My spouse works for a small adventure travel company and I can always tell when I'm a person to a company or just another booking number). 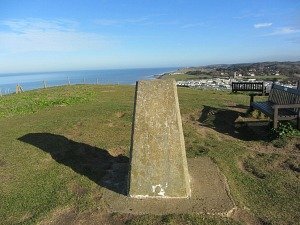 We've decided not to do the Norfolk Coast Path this year, due to some scheduling problems with work that came up when we tried to clear those dates. It's a great desire of mine to visit this part of England and see the marshes, though, so we'll definitely be doing this in the near future. Thank you again for your kind assistance! "I just wanted to write and say a huge thank you for organising our walking holiday. We chose you specifically because you had the right mileage for us to walk every day, and you tailored it for what we wanted. We also loved stopping off at Castle Acre and wish we could have spent longer there! We would definitely have no qualms about recommending you to others. You managed to show us how delightful Norfolk is, thank you once again."